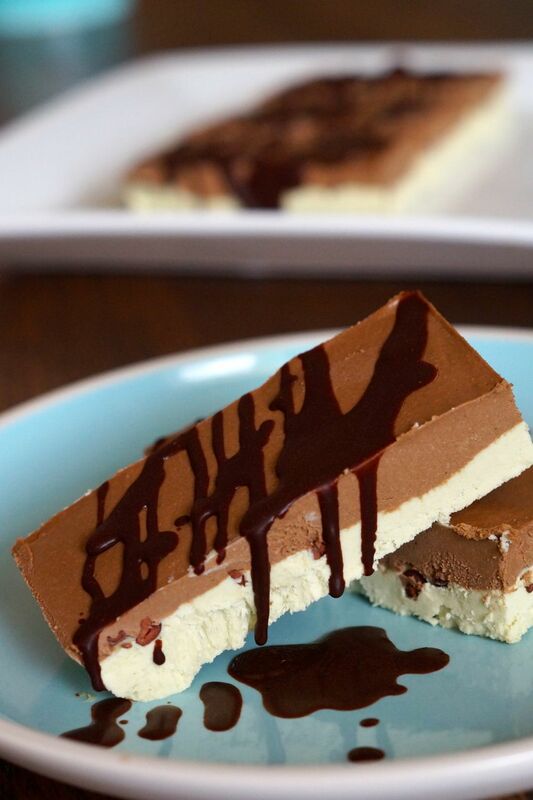 Paleo Choc Chip Mint Icecream Bars Recipe. When we made these Paleo Choc Chip Mint Icecream Bars we had a line up of taste testers out the door! These are crowd pleaser bars! Must. Make. Now! 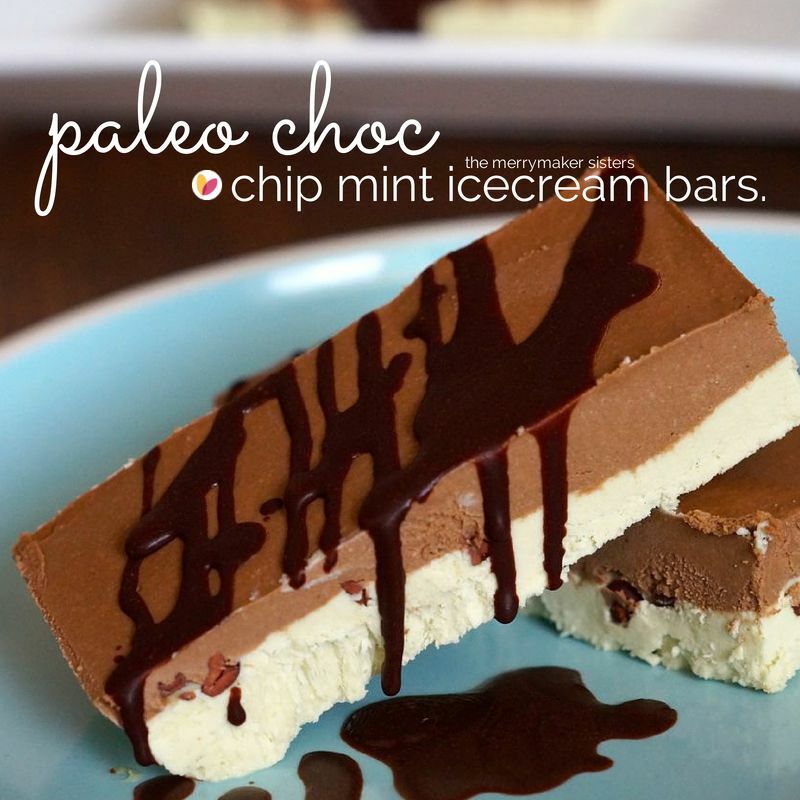 The best thing about these delightful Paleo Choc Chop Mint Icecream Bars is that they’re low in fructose! If you’re watching your sugar in take then this is your kind of dessert! You might also like to check out our whole mini eBook that only features low fructose paleo sweet treats! People seem to be loving it… you might too! Or! You really need to try our Paleo Blueberry Lemon ‘Cheesecake’! Make your Paleo Choc Chip Mint Icecream Bars look super fancy with a drizzle of some home made paleo chocolate! Nom! Nom! paleo choc chip mint icecream bars. Line a 20 cm x 20 cm slice tin with baking paper (or use a silicon mould). Drain and rinse the cashews. Place them in to a food processor (we use our Vitamix) along with the coconut milk, coconut oil, avocado, syrup and peppermint oil. Pour half of the filling into the tin and sprinkle with cacao nibs. Place in to the freezer for 15 minutes. Add the cacao powder to the remaining half of the filling and whiz until combined. Take the tin out of the freezer and pour the cacao filling on top of the peppermint filling. Place back in to the freezer for around 2 hours or until completely set. Store the icecream bars in an airtight container in the freezer for 2-3 days (as the avocado goes a little funny). Make these look super fancy and drizzle with some paleo chocolate! The link is in this blog post!